Portugal’s Euro 2016 triumph triggered euphoric celebrations among Seleção fans, not only in the mother country, but in the diaspora all around the world. Yet the manner in which Fernando Santos guided his men to victory in France was met with widespread criticism among much of the world’s media. Failing to understand why none of that criticism was shared in Portugal or by Seleção fans is not to understand the history of the Portuguese national football team. Rui Miguel Martins takes you on a 50-year journey of glorious failure by an attack-minded Seleção. Benfica had done much to raise the profile of the Portuguese game in the early 60s, making the final of the European Cup four times between 1961-1965, winning it twice. Portugal manager Otto Gloria would take several players from those teams to the 1966 World Cup in England, including the entire front line of Eusébio, José Torres, José Augusto and António Simões. The Portuguese national team’s exciting brand of attacking football would be one of the major stories of the tournament. They managed to win all three matches in a very difficult group which included the two-time defending champions Brazil, plus Hungary and Bulgaria. The Seleção overcame a 3-0 deficit to beat North Korea 5-3 in the quarter-finals in a classic match. That set up a semi-final encounter with the host nation, England. Perhaps feeling the effects of having to come back against North Korea, the Portuguese lacked the same attacking prowess. In the 30th minute, England went ahead when Bobby Charlton took advantage of a poor clearance by Portuguese goalkeeper José Pereira. Portugal struggled to react and it looked like game over when Charlton scored his second with 10 minutes to go. But just three minutes later Jack Charlton (brother of Bobby) took a wild swipe at a Torres’ header in the box to prevent a goal with his hand. It was an obvious penalty, which Eusébio converted, but that would be the closest Portugal would come. England would go on to beat West Germany 4-2 in the final. Portugal would achieve some redemption in the third-place match, beating the Soviet Union 2-1, and Eusébio cemented his place as a global star of world football as the tournament’s top scorer with nine goals. The 1966 World Cup left an indelible mark on Portugal and its footballing culture. 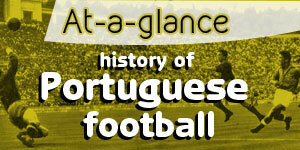 It would be the model of many subsequent Portuguese teams, which tried to recreate its unique brand of attacking football. But it was also the first of many heartbreaks. Portugal was not able to build on the success of the 1966 team. It would be 18 years before the Seleção would appear at another major tournament. 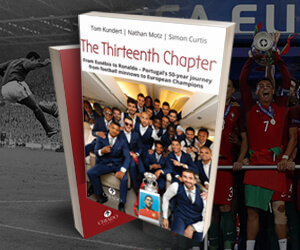 But in their European Championship debut, just like in their World Cup debut, Portugal were a surprise package as they advanced to the semi-finals of Euro 1984. In another throwback to 1966, Portugal would again meet the host nation, this time France. The match did not start well for the Portuguese. Jean-François Domergue fired in a free-kick just beyond the 18-yard box to open the scoring. And with the fervent Marseille crowd urging the home team on, the French could have easily scored more. At half-time, Portugal manager Fernando Cabrita brought on striker Fernando Gomes to play alongside Rui Jordão, and the move sparked the Portuguese to life. In the 74th minute, Jordão headed in Fernando Chalana’s cross to tie the match. In the first-half of extra time, Chalana again found Jordão whose shot bounced into the ground and flew into the top corner. Portugal were on the verge of achieving something extraordinary. But France, desperate for an equaliser, raised the tempo. In the 114th minute, Platini managed to chip the ball towards Domergue who scored his second of the match. With Portugal holding on for penalties, Jean Tigana sent in a low cross to Platini, who made no mistake. The game is widely considered one of the most entertaining matches ever played in international football history. Euro 2000 was a turning point for Portugal in many ways. The Golden Generation led by Luís Figo and Rui Costa had finally come of age. And manager Humberto Coelho had a terrific supporting cast to draw from. The tone was set with an exhilarating comeback victory against England in the opening match, when the team recovered from 2-0 down to win a thriller thanks to Luís Figo, João Pinto and Nuno Gomes goals. Portugal would go on to defeat Romania 1-0 in their next match, and then Germany 3-0 to top their group. A brace by Gomes in the quarter-finals against Turkey set up another semi-final against France. And the match immediately had echoes of 1984. Thierry Henry and Gomes exchanged goals in the 90 minutes and the game went into extra time to determine who would make the final. In the final moments of extra time, Sylvain Wiltord’s shot hit the hand of Portuguese defender Abel Xavier and the linesman gave the handball decision for a penalty. Zinedine Zidane duly converted the spot kick and with the Golden Goal rule in effect, the match ended there and then. Portugal’s European dream was over in agonising fashion again. It was a difficult way to lose. Portugal had put everything on the line against what was the best national team in the world at the time (reigning World Champions) and came away empty-handed again. But sadly, Portugal’s deepest moment of football anguish was still four years away. After the disaster at the 2002 World Cup, the Portuguese Football Federation hired Brazilian Luiz Felipe Scolari. It was an audacious move. Scolari had won the World Cup with Brazil playing a style that reminded the world of Pelé and Jogo Bonito. The two chief protagonists of the Golden Generation, Luís Figo and Rui Costa, still had plenty to offer. And they were joined by a very young Cristiano Ronaldo. Portugal were hosting Euro 2004 and much was expected of them. It felt like a golden opportunity to win a major tournament, but things got off to the worst possible start. Portugal lost 2-1 to Greece in the opening match of the tournament. But they recovered, beating Russia and Spain to advance to the knockout stages, where England were defeated on penalties in an epic match after a 2-2 draw in the quarter-finals and the Netherlands dispatched 2-1 in the semi-finals. That led to what appeared the perfect scenario to finally break the trophy famine. Greece had surprised everyone by getting to the final. Manager Otto Rehhagel had committed to playing an airtight defensive system. In the final, Angelos Charisteas’ second-half header gave the Greeks the lead. It would be their only effort on goal. And it would be enough. Greece withstood the relentless attacks and pulled off the impossible. Portugal’s dream of winning their first title on home soil had turned into a nightmare. Cristiano Ronaldo was left in tears after the final whistle and not for the last time. Scolari stayed on for the World Cup in Germany. Luís Figo had reversed his decision to retire from the national team for one last chance at glory. And the tournament began well, as Portugal finished first in their group by winning their matches against Angola, Iran and Mexico. A goal by Maniche was enough to get past the Netherlands in the infamously brutal match that became known as the Battle of Nuremberg. Portugal then beat England on penalties for the second tournament running (Ricardo saved three English penalties) to advance to the semi-finals where they would meet France. And again, the match would have its share of controversy and drama. Ricardo Carvalho was called for a foul after Thierry Henry went down in the box. Replays show that the French striker went down rather easily, but the referee pointed to the penalty spot. Zidane once again stepped up and gave France the lead. Portugal stepped into high gear the rest of the way but France held on to win and advance to the final. The Seleção would lose the third-place match 3-1 to hosts Germany. They had the slight consolation of being voted the most entertaining team at the tournament via a FIFA internet poll. But that was the end of the Golden Generation and an incredibly gifted set of players had failed to bring Portugal silverware. 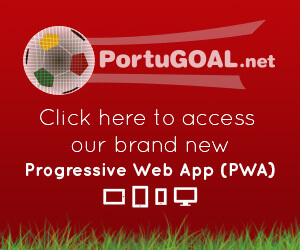 After disappointing performances at Euro 2008 and the 2010 World Cup, Portugal had much to prove heading into Euro 2012. Paulo Bento had replaced Carlos Queiroz early on in the qualifying campaign, and the team booked their place in the tournament thanks to a play-off victory against Bosnia-Herzegovina. Bento was committed to counter-attacking football in a traditional 4-3-3 formation. Portugal were drawn in the group of death with Germany, Denmark and the Netherlands. After a narrow 1-0 defeat to Germany, they pulled off victories in the final two matches of the group stage to advance. Cristiano Ronaldo’s diving header in the quarter-finals against the Czech Republic gave Portugal a 1-0 victory, to set up a semi-final against the all-conquering Spain who were then at the height of their powers. The Portuguese would heroically hold Spain to a scoreless draw over 120 minutes before losing 4-2 on penalties. Portugal came the closest to knocking out a Spanish side that could just be the greatest in the history of world football, but it was scant reward as that wait for a first title went on. Euro 2016, a new approach and the spell is broken! Fernando Santos broke with tradition and adopted a more pragmatic approach to winning games. The ‘engineer’ embraced a win at all costs mentality. “Between playing attractive football and being at home or playing ugly and being here, I prefer to be ugly,” Santos said at a news conference prior to Portugal’s semi-final with Wales. Santos’ team was accused of using negative tactics to win Euro 2016, but the reality is less clear. They attacked relentlessly in their first two matches against Iceland and Austria. Both teams demonstrated an unwillingness to open up play leaving Portugal frustrated. And they had to come back on three occasions against Hungary to draw 3-3 in perhaps the most exciting match of the tournament. In the knockout stage, Portugal turned to a more defensive mind-set. With the majority of knockout games decided by one goal or in extra time, this has become the norm in modern football. Paris was a vindication of sorts. Portugal had come so close, so many times. It seemed unlikely that they would ever win their first title. They had gained many admirers with their attacking brand of football but a title always proved to be just beyond their grasp. It will be interesting to see what tactics Santos will adopt going forward. Will grabbing that first piece of silverware shatter the psychological barrier and pave the way for the Seleção to marry beautiful football to winning football? Or has Santos hit upon a winning formula that is here to stay? Finding out the answer will make for fascinating viewing in the coming years. Great read. I may be in the minority, but I actually liked Portugal play style for the most part. During the group stages, I don't think there was another team with more shoots on and off target than Portugal. Than comes the knockout stages and they just need to make sure they were more clinical in attack while making sure not to be cut open defensively. I think the dislike from others in Portugal's play stems from the fact that most people wanted Portugal's opponent to win. Thus, needing a reason to discredit Portugal's victory and using "they parked the bus" as an excuse. When its time to defend you defend, when its time to attack you attack. Isn't that how the game works? The seleccao has nothing to apologize for.They played with desire and fighting spirit. Winning a tournament is unlike winning a league championship. The small amount of games gives more weight to luck, and the tournament rules and knockout stage require a different approach to the games. We scored when we needed and defended extremely well for the most part. Where they the most talented or even the prettiest team to watch? No, but the did what was needed to win. Winning ugly is still better than losing with beautiful football. Santos said, Jogar à bola e jogar futebol não é a mesma coisa",(playing with the ball isn't the same as playing futebol). Loses something in translation, but still true. Fair enough, Mr. Arnaldo. I still think they didn't play ugly. If any team in world football allows the opposing team's best players play with the freedom of the pitch, most if not all teams will lose. Renato's passing with Nani for his goal vs Poland was a thing of beauty. Joao Mario passing with Cristiano lead to his goal vs Hungary was a thing of beauty. I could go on and on. I guess we can agree to disagree. Nice article. I hadn't quite grasped just how much of a bogey team France has been for us through the years, so this really makes Euro 2016 one the most memorable victories in Portugal history of (hopefully) many more coming in our future. We shouldn't fall into the trap of labeling this triumph as something that was orchestrated by a defensive strategy (not that that's a bad thing) but the "anti-football" accusations are laughable. Portugal simply took the right approach in each individual match. As is stated in the article, we attacked full throttle in the first two games vs. Iceland and Austria. If the final score line did not paint the perfect picture, why aren't our adversaries taking the brunt of the blame? Hungary too.. widely considered a must win game before kick off, is an easy candidate for the match of the tournament having good entertainment value. Portugal had to make adjustments in the knockout phases, due to unfit players and suspensions. We came up against the best midfield duo in Europe presently against Croatia consisting of Modric and Rakitic (both established stars playing at established clubs) We could not attack in that match obviously. Our midfield was/is young and inexperienced. Still we didn't park the bus, we played intelligently and stifled them and cut out their passing lanes, as they became more and more desperate in search of goal, Portugal scored off a brillant counter attack involving Sanches plus our lethal front three (CR, Quaresma, Nani).. Santos took what we had and utilized it to perfection. It wasn't flashy but the whole thing appeared so tactically poised, personally I was fascinated to see which team would blink first. Poland never made it out of the group stages of Euro competition before this tournament so we had to expect a tense match. This really shouldn't even require explaining. Sometimes momentum is all that is needed to carry you through, it's very difficult to break down teams like that and dull matches happen but if your going to point fingers, both teams deserve equal treatment. Keep in mind it went to a penalty shootout, which is suppose to be eye candy for the neutral, and heart stopping for the fans. And again.. honestly Portugal shouldn't even have won Euro 2016 if your looking at it from a team experience perspective. Our squad had just begun a big period of transitioning. It's remarkable how we won it in the midst of that. Anyone who can still criticize after all is just taking the piss. Wales match we adjusted again.. our strengths were used to attack and in the final I'm certain it would be too if France's coach didn't order a hit for our best player to be taken out. Patricio still played Superman and there were a lot of close calls. Man, i'm just sick of this defense oriented analysis.. Portugal's current crop of players are capable of playing beautiful football, I guarantee it. You will see as they age, gain experience, and grow together. Playing smart doesn't mean play negative. Like I said, Santos weighed all the circumstances in order to set up the tactics required to achieve our goal. I excluded Germany from the sample and explained that the German fan's had a legitimate grievance, their team had outrageously good statistics and just simply missed too many opportunities in their final game. Anyhow, my point was that Portugal/France had very similar attacking statistics while Italy/Iceland had much in common, so it was very interesting to have an Italian suggest that Portugal "parked the bus" and played "ugly football". Ha! funny. Great comment, Nelson. One point worth noting is that far all the insufficiencies of the Fifa rankings , I think that the UEFA coefficients are really spot on. I really thought about how the fact that the Portuguese league being ranked higher than the French league for quite a few years now was going to play a small role in helping to determine the outcome of the game. Anyone know CR7's availability for our first World Cup qualifier in Switzerland?